Gone is the teacher standing at the chalkboard lecturing to students in rows of desks. 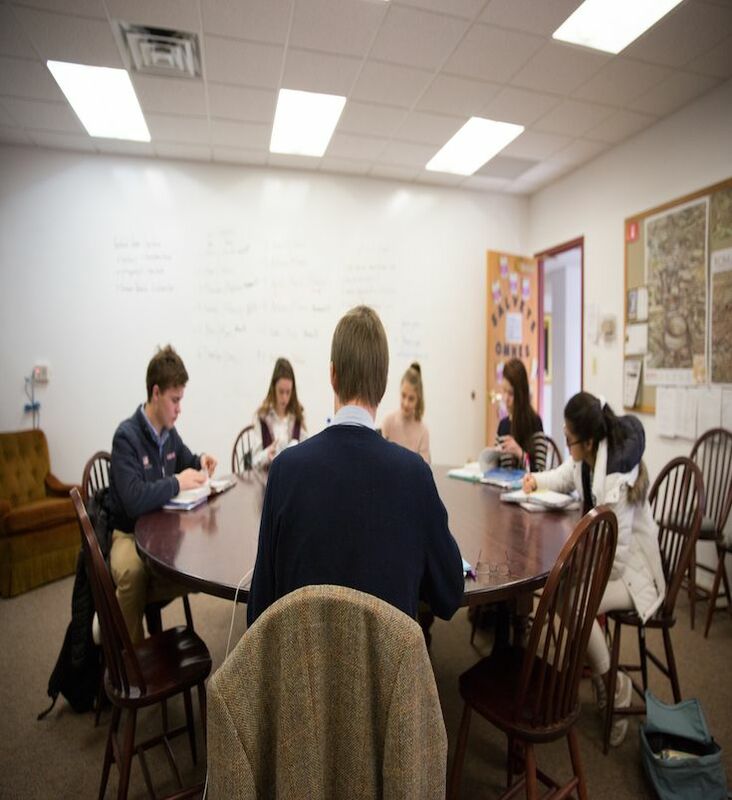 In Upper School, students come to class prepared to lead the discussion by sharing ideas, taking turns speaking, and challenging classmates politely, even if they disagree. Whether the subject is a novel in English or a challenging math problem, The Harkness Method develops creative, confident and articulate learners. Harkness Tables are the centerpiece of learning at some of the most prestigious prepatory high schools, such as Phillips Exeter, Lawrenceville, St. Andrews. Upland is one of only two schools in the country to incorporate this discussion-based method across all disciplines at the middle school level.